In Class 5A (top half of bracket)… The McEachern Indians (30-0) continued their march to a championship in dominating fashion with a 93-50 win over Westlake. Freshmen and North Carolina signee Te’a Cooper had 28, Arkansas signee Dominque Wilson scored 24 while Pachiyaanna Roberts, who will attend Syracuse, dropped in 21 points for McEachern. The Lady Indians are averaging 90.5 point per game through the first two rounds while allowing only 47.5 points per game. North Cobb went on the road and defeated Lowndes 57-50 and will play Hillgrove, who ended Stephenson’s season with a 50-48 win. Region 4-5A is 7-0 in the state tournament so far with Harrison still alive. Harrison will play at Valdosta today with the winner drawing nationally ranked McEachern (Region 4-5A) in the Elite Eight. In Class 5A (bottom half of bracket)…It’s an All-Gwinnett showing as Mill Creek defeated Alpharetta 51-49 to advance. Alpharetta held a late lead but were ultimately done in by their failure to knock down free throws. Both teams had their struggles from the foul line as Mill Creek was only 10-24 while the Lady Raiders missed 14 free throws in the game. Nadiya Miller led Mill Creek with 16 points while Jasmine Carter tossed in 12 points hitting key free throws down the stretch. Mill Creek will face North Gwinnett who defeated Woodstock 60-55. Lexie Brown and Ariel Johnson posted 20 points a piece and got a double-double effort from Peyton Whitted (10pts 10reb). On the other side Parkview breezed by North Forsyth 48-16. Parkview only allowed 5 points in the second half. 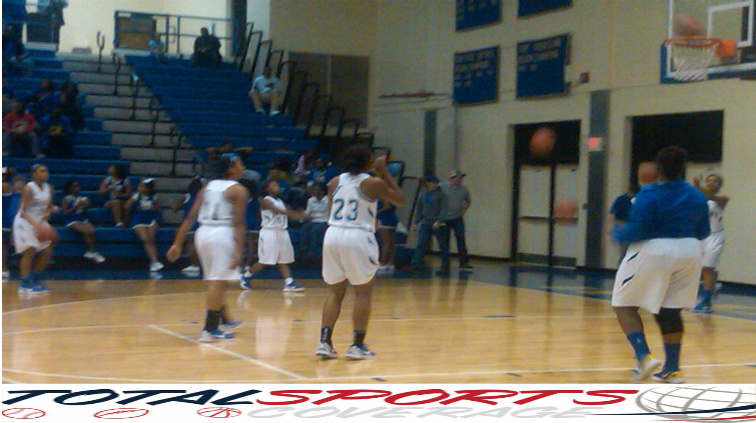 Genesis Perrymond tallied 14 points for the Lady Panthers. Norcross, with UConn head coach Geno Auriemma in attendance defeated Marietta 62-54. Diamond DeShields gave Coach Auriemma plenty to see leading Norcross with 22 points. If you got there late and missed the first quarter, DeShields put up 15 of her 22 in the opening frame. Region 4-5A (McEachern, North Cobb and Hillgrove) and Region 7-5A (North Gwinnett, Norcross and Mill Creek) have 3 teams in the Elite Eight with undefeated Parkview coming from Region 8-5A. Region 2,3 and 6 will not be represented in the Elite Eight and Valdosta has the last chance for Region 1-5A to have representation if they defeat Harrison (Region 4-5A). If Harrison wins we will have a state champion from either Gwinnett or Cobb Counties. In Class 4A... On the top half of the bracket Fayette County defeated Northside-Warner Robins 54-43 and will face Jonesboro. Jonesboro defeated Stateboro 56-43. Alcovy bested Warner Robins 71-62 to set up their match up with Forest Park who easily defeated Bainbridge 60-32. On the bottom side, Miller Grove continues to seek respect for its program on the same level as their Boys program advaning 52-45 over Forsyth Central. Miller Grove will play Rome who got by Osborne 56-43. Chamblee is continuing to play with a chip on its shoulder as they went on the road and defeated Region 8-4A champion Habersham Central 56-54 to advance to play Dekalb County and Region 6-4A rival Southwest Dekalb. Chamblee has lost 2 games all season by a combined 6 points and defeated Southwest Dekalb in their two earlier meetings this season, most recently winning 61-43 in the Region semifinals. In Class 3A… Washington County and Monroe advanced and will face each other on one side of the top half of the bracket. On the other side Hephzibah defeated Doughthery 61-56 and will face the winner of Crisp County and Westside (Augusta). On the bottom half Columbia sent Oconee County packing quickly via a fierce defensive attack in a 66-32 victory and will face Troup, who defeated Chestatee 50-34. On the other side North Hall escaped with a 47-45 win over Carrollton and will face the winner of Allatoona/Columbus in the round of eight. In Class 2A… Morgan County made quick work of Albany with a 56-23 win and will face the winner of the Laney/Thomasville showdown. on the other side of the top bracket it will be Brooks County against Putnam County. On the bottom side we will be treated to The Lovett School going up against Model. On the other side it will be Buford going up against Heard County. Buford used a 10-2 run to end the game and won over North Oconee (25-5; school record) 53-45 to advance. Kaela Davis, daughter of former NBA veteran Antonio Davis, led Buford with 22 points. North Oconee was led by Ginny Channell with 15 points and got 14 points from Brooke Hubbard. In Class 1A… Pelham will face Taylor County while Charlton County will await the winner of Mitchell County/Claxton on the top half. On the bottom you will have Wesleyan going up against Darlington on one side and Savannah Christian taking on a very game St. Francis squad. Caught your breath yet? Well if you have you better enjoy it. The remainder of the girls action will be played today along with the entire boys brackets in all classifications. Who will keep their number one goal of being a state champion alive? Follow us on Twitter @tsportscoverage for all of the score updates that we get when we get them. All the hard work and season long prep work is on the line now as all 5 classifications in Georgia began postseason play in the State Tournament over the weekend. The State Tournament consist of the Top 4 teams from each region with the higher seed hosting in opening two rounds. The third round is held at a neutral location and the semifinal and finals Gwinnett for the 4A and 5A classes and Macon for the 3A, 2A and 1A semifinals and finals. Girls play on the first date boys on the second date but if both teams are hosting they may play a double dip. 5 wins and your a state champ. McEachern (Reg 4) 88 Camden County (Reg 3) 40; McEachern forced 27 turnovers in the first half and had four player score in double figures. Dominique Wilson 18pts, Pachiyaanna Roberts-a Syracuse signee, 16pts Destine Gibbs 15pts and freshman Te’a Cooper-a North Carolina commit, dropped in 10pts. McEachern, ranked No.2 in the ESPN Powerade Fab 50 and No. 3 in the nation by USA Today at 28-0, held a 90 min post game practice. Harrison, Hillgrove and North Cobb all won their playoff games over Region 3 opponents. Chamblee won to advance to the second round for the first time in 37-years with a win over Douglas County. Miller Grove, Southwest Dekalb, Stephenson and Redan loss to Osborne. Columbia won by 26 over LaGrange and will host Oconee County in the second round. Oconee County is a No.3 seed from Region 8-3A and defeated Cartersville 66-44. Habersham Central of Region 8-4A defeated Lambert by 15 and will host Chamblee. Parkview, Norcross, North Gwinnett, Mill Creek and Buford advanced. Stephenson and Hillgrove will meet int he second round after victories. Cedar Shoals 66 Sequoyah 62. Cedar Shoals won this game by hitting their free throws. the Jag were 23-28 from the stripe while nailing 17 free throws in the fourth quart for all of the points in that quarter. The Jaguars also hit the boards finishing plus-10 on the glass with a 28-18 advantage. Senior Kevon Scott lead all scorers with 27 points (15-18 FT), Dontai Robinson had 18pts 8rebs and CD Simmons 9pts 5reb. Cedar Shoals has loss only 4 games at home under second-year head coach L’Dreco Thomas and will host Southwest Dekalb Wednesday in the second round. Other Region 8-4A Teams: Loganville won 73-59 over Creekview and will play Miller Grove who breezed by New Manchester 83-35 and Rockdale County ended Woodland-Bartow’s season with a 77-73 victory. Woodland-Bartow ends their season with back-to back losses to cap a 26-3 season. Salem fell to Chattahoochee. Dekalb County: Miller Grove, Columbia, ML King, Southwest Dekalb, Marist, Towers and Stephenson all won their opening round games. Cobb County: Harrison won and will travel to Valdosta in the second round. North Cobb, and South Cobb advanced. Allatoona sent Monroe Area packing with a 72-55 win. Gwinnett County: Shiloh slid by Mill Creek 61-58 while Peachtree Ridge knocked off Dacula. Berkmar defeated defending 5A Champion Norcross 64-54. Buford, GAC and North Gwinnett were also winners. The second round begins Tuesday. Post Season High School Basketball is picking up steam as the Region/District Tournaments get closer to crowing a champion. Here’s some of the new from around the region playoffs. Georgia Boys: Kevon Scott of Cedar Shoals (18-9) scored 28 points and Donati Robinson scored 19 including key free throws down the stretch to defeat Rockdale County 77-76. Rockdale County had won the previous two match ups by a combined total of 13 points. The Jaguars will meet the Loganville High School Red Devils for the region championship. 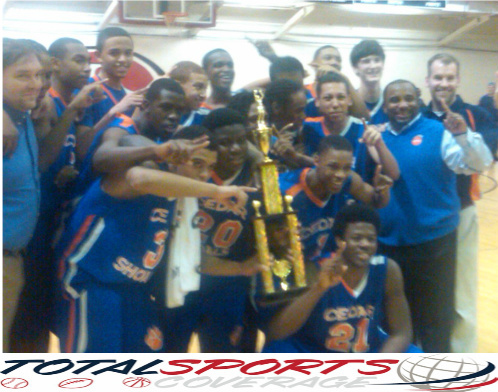 Cedar Shoals has defeated Loganville twice during the regular season, winning both games by 20 or more points. Loganville defeated Salem 60-54 to advance. The Jaguars two games in the region tournament have been won by a total of 2 points (vs Apalachee 71-70). Loganville came out strong in the first half opening the game with an 11-2 run. The Red Devils would take a 29-21 lead into halftime. In the third quarter Cedar Shoals turned it on outscoring Loganville 30-7 in the quarter. 15 of the Jaguars 30 points in that quarter came from beyond the arc. CD Simmons scored 13 of his game high 22 points in the 3rd quarter. Kevon Scott finished with 15 points while hitting four three-pointers, Dontai Robinson and D’Andre Mahaffey each has 8 points each fro Cedar Shoal. Loganville was led by Dixson’s 11points. Cedar Shoals improves to 19-9 and wins the Region 8-4A Championship and will be the number one seed in the Class 4A State Tournament. Loganville will be the number two seed from the region. Southwest Dekalb will face Miller Grove in the Region 6-4A championship game. GAC defeated Decatur 47-46 and Buford got by South Atlanta 61-53 in the Region 6-2A semifinals. AJ Davis finished with 32 points for Buford. GAC and Buford will meet for the third time this season but the only time with the region championship hanging in the balance. ML King and Stephenson will play for the Region 2-5A Championship. Stephenson enters the championship game with a record of 8-19 and opened the seasoon 0-7, have wins over Newton and Newnan in their last two wins. ML King defeated Westlake 51-49 to advance. Wheeler 59 Walton 55 in Region 5-5A semifinals. Peachtree Ridge 68 Norcross 56 in the Region 7-5A semifinals. Jordan Capps led The Ridge with 15 points, Brandon Jack scored 14 and Benny Johnson put up numbers of 11 points 10 boards and five dimes for Peachtree Ridge. The Lions will face North Gwinnett, who beat Mill Creek 34-33 in the other semifinal games, for the Region Championship Saturday night. Shiloh defeated Dacula 49-22 to win the Region 8-5A Championship game. Shiloh will be the number one seed in the Class 5A State Tournament. Robert Carter finished with a double-double with 22 points and 11 boards. Shiloh will face Berkmar for the region championship. Berkmar got by Central Gwinnett 67-51. Robert Lowe had 15 for Berkmar while Yonel Brown added 14 points (hitting 3 three-pointers). Florida Boys: North Marion (16-10) defeated Bartram Trail in District Quarterfinals 53-49 on Thursday. North Marion is having made a strong playoff showing coming of the lost to Eastside last week, will face them against next week in the Regional Semifinals. Eastside (Gainesville) defeated Creekside (Jacksonville) to advance. Georgia Girls: Harrison vs McEachern (27-0) in Region 4-5A Semifinals…McEachern Head Coach Phyliss Arthur was named as a Naismith Boys and Girls Coach of the Year Honors. Arthur is leading only 1 of 4 remaining undefeated teams in the state of Georgia in all classifications at 27-0. McEachern advanced to the Region 4-5A Championship game against rival Hillgrove. McEachern defeated Harrison 85-28 to advance. Hillgrove defeated South Cobb. McEachern won both of the regular season meetings against Hillgrove. Parkview defeated Archer 52-40 to advance to the Region 8-5A championship game. Parkview is only one of the two undefeated team in the 5A Classification (McEachern is the other). Genesis Perrymond finished with 14 points for Parkview and dropped in four three-pointers while Marissa Mandeldove chipped in 10 points. The Lady Panthers will face Brookwood who got 24 points from Samantha McCombs in their 55-53 come from behind win over South Gwinnett. Habersham Central defeated Salem 50-36 to earn the number one seed and the Region 8-4A Championship. Flowery Branch sewed up the number three seed from the Region with a win over Clarke Central. Follow us on Twitter @tsportscoverage for all the updates.